The Franz Josef archipelago lies hundreds of miles north of the Russian mainland. The archipelago is a group of 191 islands that lie in three rough groups. Champ Island is the southernmost island of the Zichy group, which is the central and largest group and was named after William C. Champ – the leader of a relief operation that searched for the Fiala-Zeigler polar expedition. These facts aren’t all that makes this island remarkable, however. The landscape, which is otherwise very barren, is littered with perfectly round balls of sandstone. Resembling monstrous marbles, some of which are no larger than ping-pong balls and some of which are six meters or more in height, they give the island’s landscape a somewhat unreal, cosmic appearance. 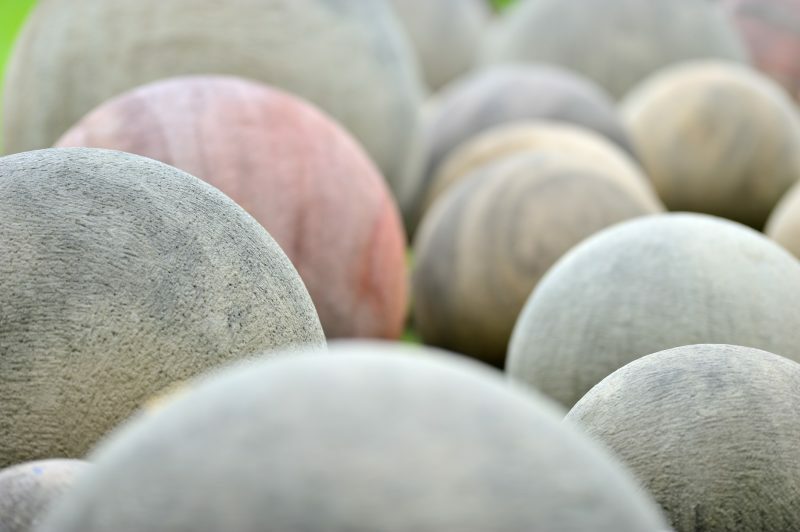 Looking at the balls, their consistency and uniformity of shape make it very hard to imagine that they weren’t somehow shaped by human hands. However, the island is about 144 square miles in area and has never been inhabited. Scientists agree that the balls were formed by nature, although there is some disagreement about exactly how it happened. 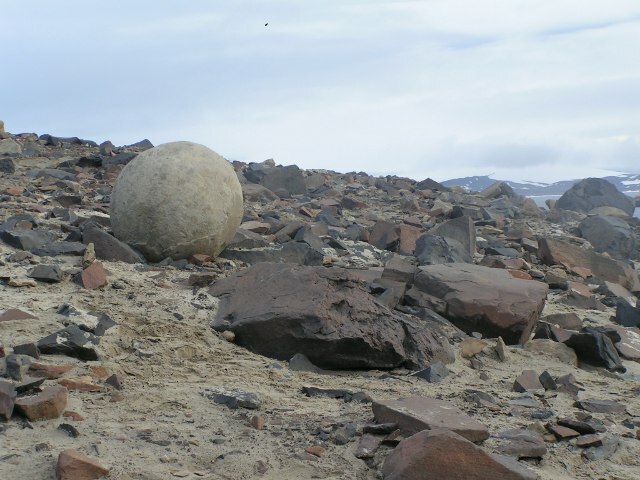 Viktor Boyarski, a Russian polar researcher, said that the balls are made of soft sandstone. 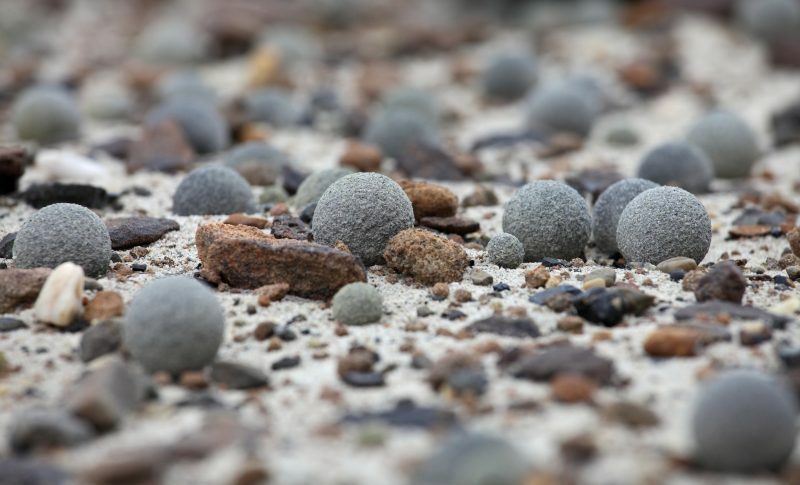 He noted that several very large balls on the island had split in half and that the largest ball is breaking down a little more every year from the effects of wind and water. 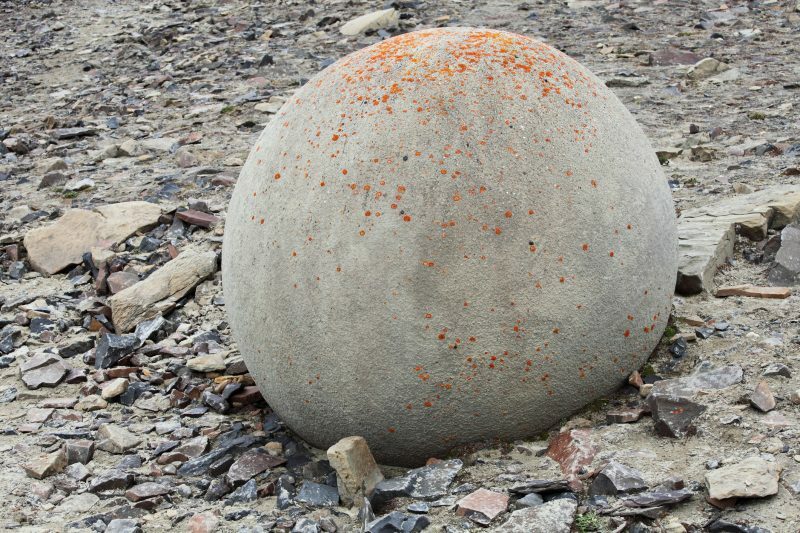 An Austrian geologist, Sepp Fridhubera, has said that the rocks’ rounded shapes were formed underwater and noted that they have an organic core in the middle. 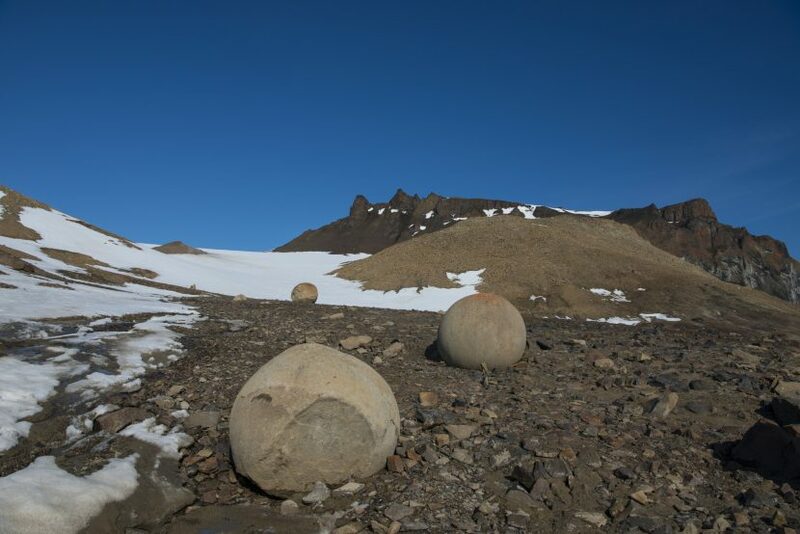 Quark Expeditions, who do polar tourism, say that a likely theory is that the balls are concretions. These begin as masses of minerals that are formed when water carries a cementing sediment, until the mass bumps into some organic nucleus like a fossil, a shell, or a twig. This results in a chemical reaction that forms the ball in layers, sort of like how an oyster grows a pearl, and, like many pearls, the result is often spherical. The reason there are so many of them is that no humans have been living on the island to break them open or carry them away. 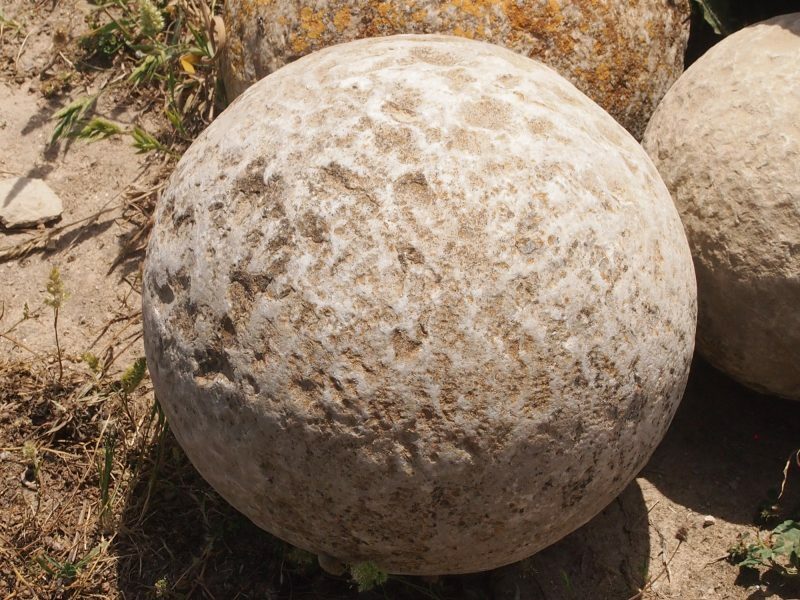 Although Champ Island has the largest stone balls of this type in the archipelago, it’s not the only island to have them. Heiss Island also has the spheres, although they are much smaller in size. The stones there are described as being between the size of bullets and cannonballs. Similar concretions can be found in a few other parts of the world too, including in Israel and New Zealand. Scientists used to think that balls like these must have taken a very long time to grow – from hundreds of millions to thousands of millions of years – but phys.org reported in May of 2017 that new research indicates that this time frame could be completely wrong. One of the researchers said that scientists now know that concretions can be formed very rapidly, in a window of several months to several years, which is a radical departure from previous estimates. However, all of the concretions that were studied for this research were made of calcite, not sandstone, so what the effect of the different material would be, if there’s a difference at all, is unknown. These mysterious “monster marbles” will continue to be a fascination to researchers and visitors for years to come.